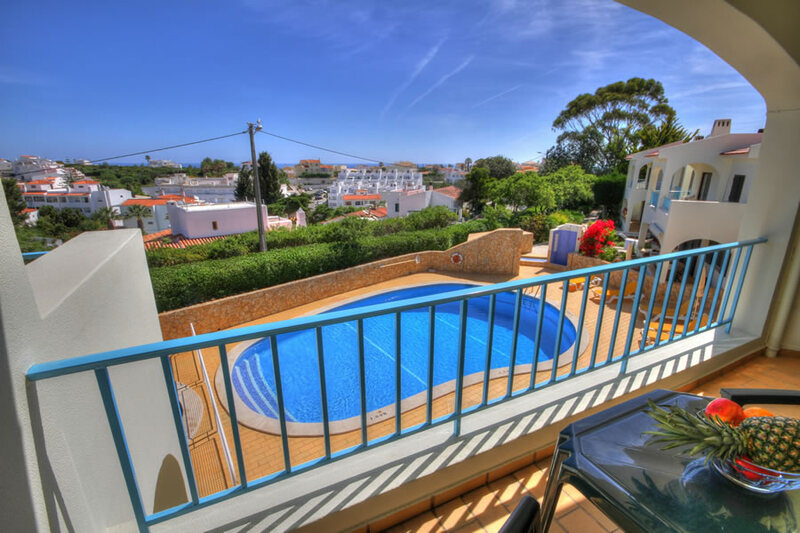 This beautiful, two bedroomed apartment is situated on the popular Monte Dourado complex, centrally located in Carvoeiro. This must be one of the best examples on Monte Dourado. The beach, restaurants, shops and bars are only a few minutes walk away. The swimming pool area is only a very short walk away. 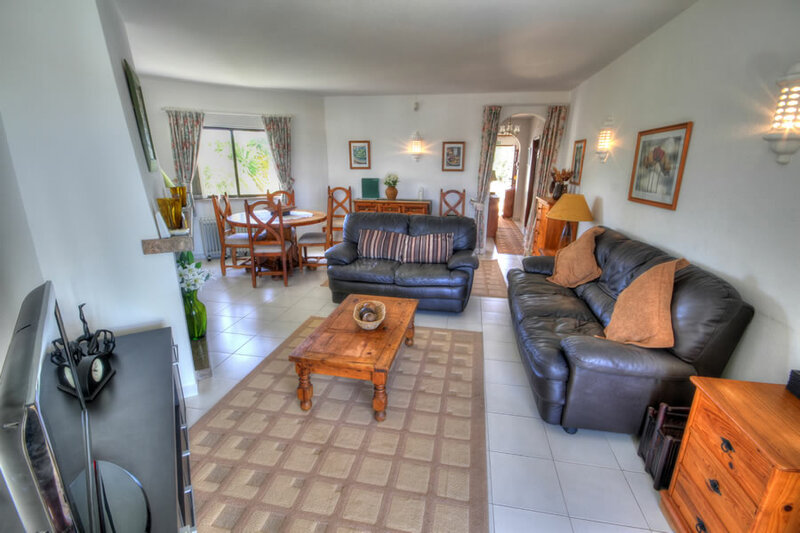 This 1st floor apartment is located within a cluster of eight (two high by four wide) and has sea views from both the main balcony and the master bedroom window. 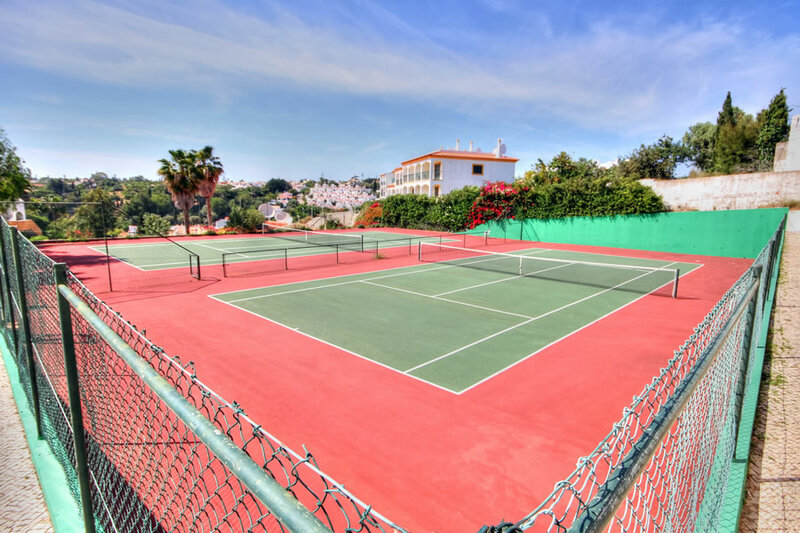 The Tennis Courts on site are only a few minutes walk away. The apartment has an entrance hallway that leads to all the rooms. 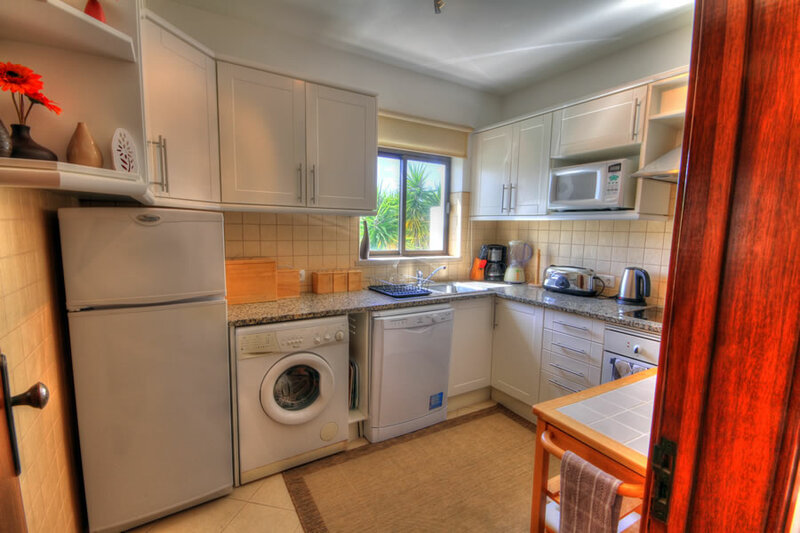 Accommodation consists of a fully equipped modern kitchen including fridge freezer, washing machine, dishwasher and modern electric hob & oven. Both spacious bedrooms have ample storage facilities, the master bedroom has a double bed and has full newly refurbished en-suite facilities. 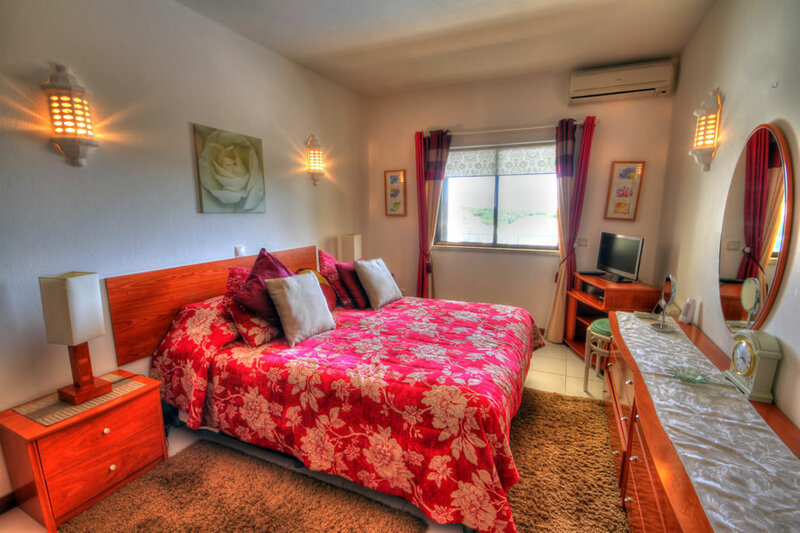 The second bedroom has twin beds with a separate shower room opposite. The apartment has free high speed wi-fi. The lounge with dining area has been tastefully decorated and has ample space to accommodate 4 persons. 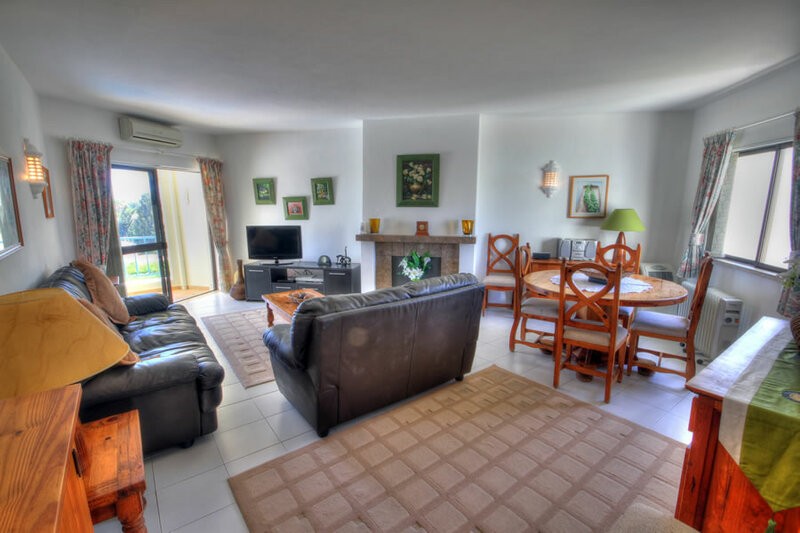 Patio doors lead from the lounge to the balcony, furnished with patio table and chairs. 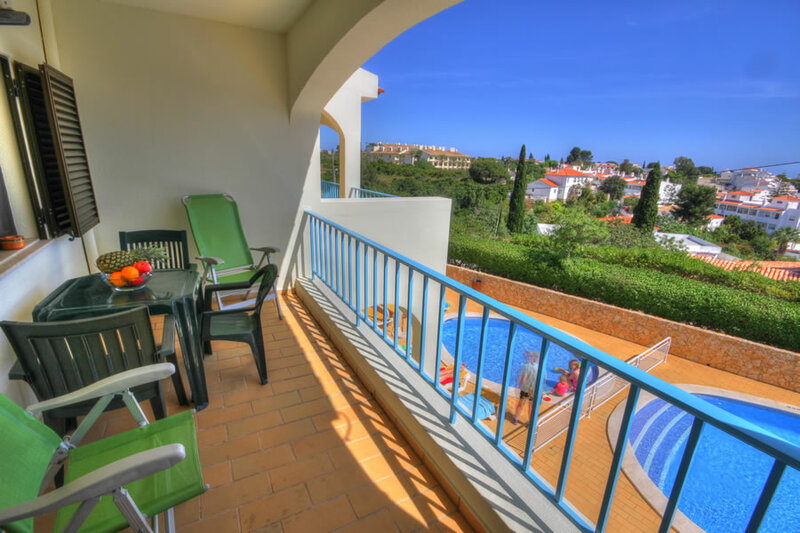 From the balcony, there are picturesque views over the swimming pool area and towards the town. The sea can also be seen in the distance. There are mobile electric heaters throughout for ample winter heating. 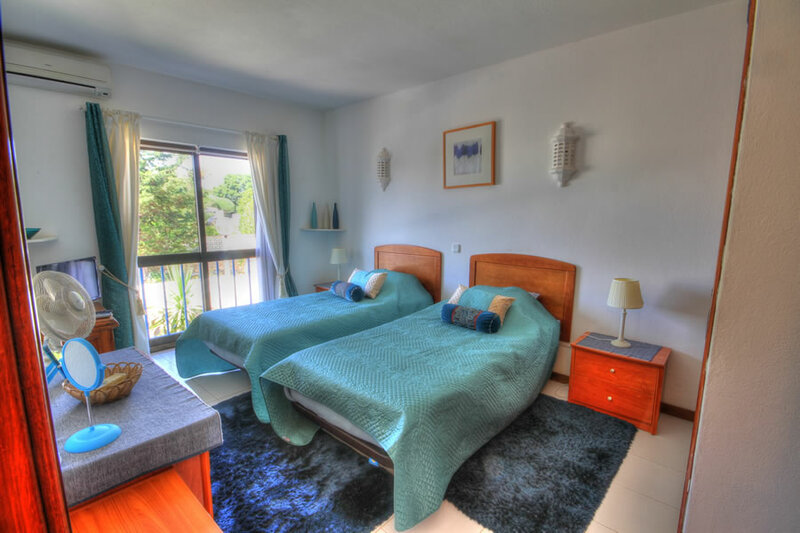 The apartment benefits from air conditioning (small charge may apply) in both bedrooms and the lounge, these units can also be used as heaters in winter. This property is one of our most popular rentals and offers comfort and a great location to explore the town. 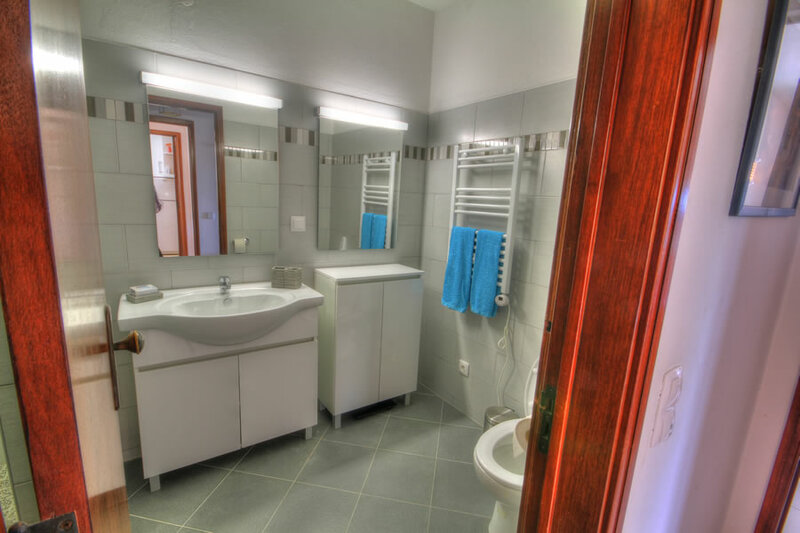 Prices are per week for a maximum of 4 persons, inclusive of 3 day per week maid service (except public holidays), linen & towels (except beach/swimming towels - these should be supplied by the client). Electricity is included in all rental prices.